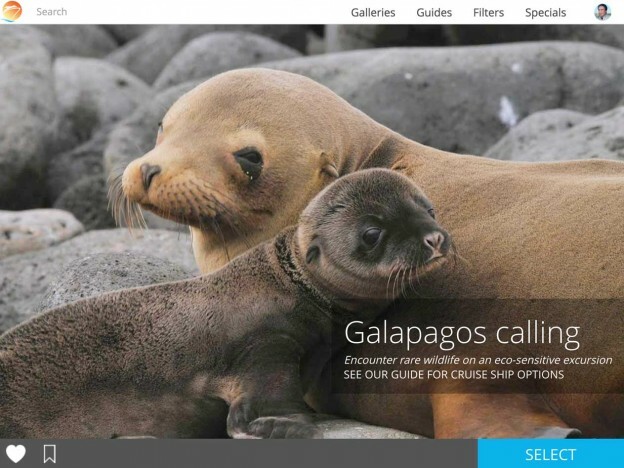 Both the Cruiseable mobile app and website draw from a single content database. The startup discovered the need to bring in journalistic talent to create content. "In 2015, every business and every startup is a media company." The why: The reason behind content marketing’s rapid rise. The startup angle: Not all content marketing is being done by big corporate brands. So let me try to fill in those gaps from the perspective of an entrepreneur-journalist and former social media consultant. Given the new realities of the online landscape, for a time I advised companies on how to get on the content marketing bandwagon. But two years ago I returned to the world of tech startups and found that content marketing followed me there, too. In early 2014 when we set out to create Cruiseable, a travel tech startup with roots in Silicon Valley, we had no idea that we would evolve into not just a technology platform but a travel publication. But that’s where our journey has taken us. That will become fully evident this week when we’ll relaunch the site with much more of an online magazine look and feel. How did it happen? We were pulled in by the irresistible gravitational force of content marketing. From the start, our mission was simple: to make it much easier, and more fun, to discover, plan and book a great cruise vacation. We set out on two tracks: product development, where we began building a cruise search engine tied to a home-grown content management system, and content development. We didn’t want to create just a search tool — cruisers don’t want to just know a cruise’s itinerary and price. They want to know about a ship’s features and what sets it apart. They want to know the best things to see and do in those ports of call. They want to see big, beautiful photos of onboard activities and exotic getaways. They want the social proof of other cruisers sharing their own experiences. And they want it all wrapped in a user-friendly interface. On top of that, there’s the freshness factor. You can’t just have a static database of content, no matter how consumer-friendly, lest you incur the wrath of the Google search gods. So we started bringing cruise bloggers and travel writers into the fold. We created an ethics, disclosure & transparency policy to remind the staff and inform the public that Cruiseable was not pay-to-play site, where cruise lines or advertisers could influence the content. To my surprise, we wound up hiring part-time team members like the former travel editor of the Sacramento Bee; a national board member of the Society of American Travel Writers; a former national desk editor for the San Francisco Chronicle; the national cruise correspondent for Examiner.com, and some nationally known freelance travel writers and editors. Even our marketing chief turns out to be a former journalist who worked at AOL. 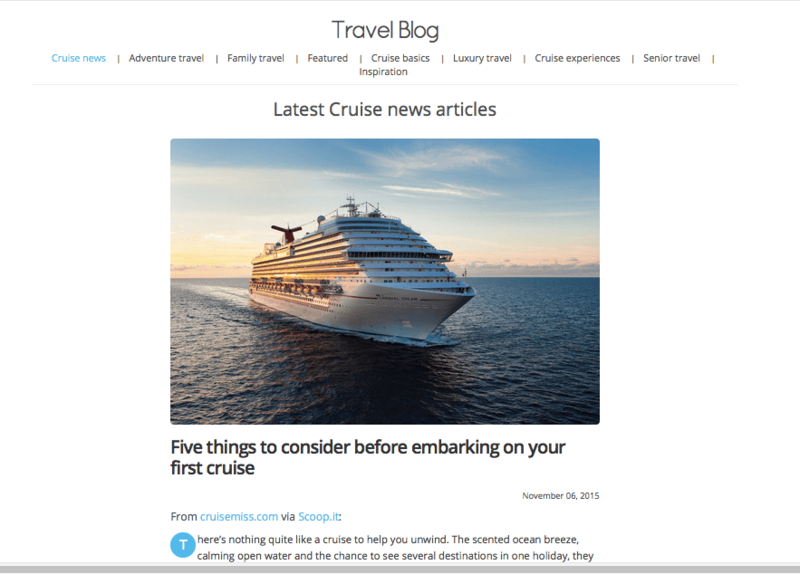 Some of what the team does is content marketing: writing guest posts for outside sites that link to Cruiseable. But in the end, the vast majority of their time is spent creating writing, editing and curating features, reviews and travel guides. Because creating quality content consists of many of the same things that go into good journalism: fact-checking, integrity, storytelling, humanity and serving the readers’ interests above all else. 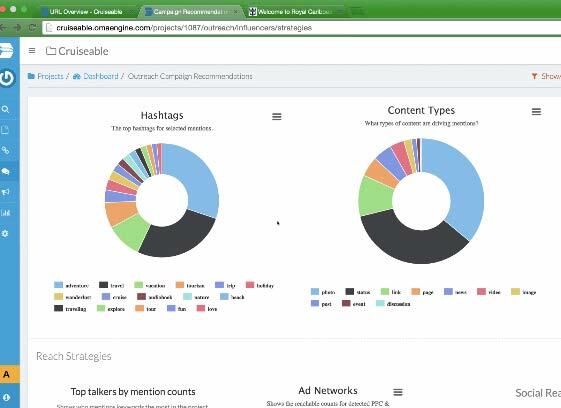 A screen grab from Audienti, which offers a wide array of marketing analytics tools. To generate growth, we do use some of the tricks in the content marketer’s playbook: We write search engine-friendly headlines. We attach 10 or more tags to each article. We use a powerful marketing automation tool called Audienti to research content opportunities, writing about topics that users are searching online but not finding the answer to. We’ve set up a brand ambassadors program and joined GaggleAMP to help spread the word about new content. We just entered into a content partnership with OnlineRepublic in which they’re writing free travel articles for us. (Pity them not: It’s self-interest, not charity.) We expect to do more of those. In the next week, we’ll begin approaching travel bloggers and social media influencers that we’ve identified through two other tools, BloggerBridge and Little Bird, and offer them a content exchange to help boost our site’s [Wikipedia]domain authority and offer them early entry into a Travel Rewards program, given that more and more bloggers want some kind of compensation for their efforts. And we’ll disclose that, too. In 2015, every business and every startup is a media company. And we need to tell our stories with verve and authenticity. That’s not just content marketing. It’s the new online reality, brought to us courtesy of the Google gods. JD Lasica’s career has spanned journalism (11 years as an editor at the Sacramento Bee), the tech world (several years in management at Silicon Valley startups) and social media marketing (he founded the social media consultancies Socialmedia.biz and Socialbrite). He’s now co-founder and CEO of Cruiseable, a travel tech startup. This is true, Google’s “quality content” and “timely content” are ranking factors that fostered this movement. Today, we are churning out content like never before, but there are a number of content marketing cycles out there that has go beyond compliance to the Google entity, but have made it meaningful with strategies on how content can convert and delight.